HR and Mobile technology…are you keeping up to date? Welcome to this HR Blast. In this two minute update we wanted to focus, for just a short while, on the phenomenal surge we have all seen in the past one to two years in the use, and availability of, mobile technology in the workplace. Whether we love or hate technology the reality is that it is all changing fast. But are HR departments and employment policies and practices keeping up? Is HR on top of this? There is a new type of young worker emerging called ‘GenMobile’. It’s forcing employers to rethink traditional work patterns and make the workplace more flexible and mobile. 5,000 people surveyed confirmed mobility to be an emerging strong factor in the working patterns of GenMobile. Research showed these workers rely on mobile devices for every aspect of work and personal communication, and stay connected to everything all the time, irrespective of place. 84% of respondents said that given a choice, they would not use a desktop and prefer to work on mobile devices. 51% using mobile devices to manage work and non-work activities. 58% would prefer to use a Wi-Fi connection as compared to a traditional connection. Average browsing time on mobiles increased, with 25% opting to give up coffee before giving up their smartphone. Tech at work has become a driving factor, with 38% opting to bring their own device to work than have an office with a window, and 53% say that they would want their company to pay for their choice of device rather than lunch. But with this surge in the use of and ownership of mobile devices, come issues for organisations to consider and plan for. The following, we hope, will provide a useful framework for those considerations and planning. Do you view it as an act of misconduct if people are careless with devices and regularly lose or break them? Does your disciplinary procedure need a review? How do you protect your confidential company data once it starts to get used on a myriad of mobile devices? Equally, how do you protect the data you have a legal duty to protect (e.g. clients, customers etc.) once it is held on or accessed by so many devices? If someone uses their own mobile device/s, what rights does your contract permit you when they leave your employment to ensure that your information is deleted off their personal devices? You gave everyone training in how to sit properly at their workstation to avoid RSI claims, but is it time to think about how to protect yourself from claims arising from use of mobile devices? If people download apps to their devices to enable them to work on the move, who pays for those apps and what stance, if any, do you take when they leave? Does your expenses policy allow for people to put through apps purchase? Time to amend? Having lots of new technology in a business can boost morale. It makes staff feel like things are progressing and that the organisation is ahead of the competition. A great feel good factor. In contrast not having the technology that mobile workers are demanding can be demoralising. Having great mobile technology that works and is reliable can be the difference between retaining or losing field based staff or those staff who spend their lives travelling. Having old fashioned/over restrictive employment policies around technology could lose you staff or be the cause of some staff choosing not to join you in the first place. There is nothing more irritating in the workplace than having technology that either doesn’t work or doesn’t do what you need it to do. So does taking a ‘half measure’ approach to introducing new technology just create irritation? Staff hate it when new technology is just handed out to senior staff who like to have the newest toy, when in fact it is the more junior staff who would really value having it. Are your organisation insurances fully up to speed with how much mobile technology your staff are using? What the cost of all of that is? Where it might be kept overnight or lost and what exposure to data protection fines? Loss of critical data you might have? Time for a review? Lots of stuff in the media around excessive use of talking on mobile devices causing health problems, sleeping with mobile devices beside you causing broken sleep, taking mobile devices on holidays disrupting rest time etc. What education do your staff need to balance out the media hype on various issues but also ensure they really understand the health and safety issues? We have already talked about the media hype around H&S, but the media drives views on the need for mobile technology too. But even though ‘GenMobile’ say that it can’t do without mobile devices, there is still the option to think it through for yourself. Consider what parts of your workforce do genuinely need more mobile devices, but equally what parts of your workforce do not. Do not make decisions based on what the media tells you is the norm. Setting expectations for staff is crucial too. If you are clear in a policy that personal phones should be switched off at work then ensure that happens across the workplace and that staff are clear about when they can check their devices. 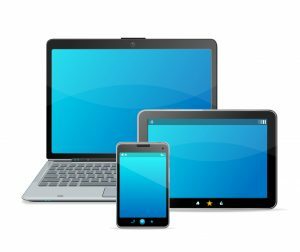 Equally when you allow devices at work, be clear about what reasonable personal use is. HR needs to set the standards rather than be reactive to what employees think is reasonable or appropriate. Rather than just go mobile, think through what productivity or other gains you are expecting and then measure those. This is a business investment just like any other, so measure it rather than hand out devices like sweeties. Training staff in how to use the devices you have just handed out is critical if they are to make best use of them and achieve those productivity gains so appoint a few workplace gurus and wizards who can show others how to use their devices and maximise the benefit. HR staff are not always the most technology savvy and inevitably there will be those in HR who shy away from mobile technology for fear of not knowing what to do with it all which will make them look stupid. But HR can’t afford to fall behind on this so get an IT whizz in to give your HR team a few lunch and learn sessions. No shame in it, it’s just that many in HR need to spend a bit more time on their own development before thinking about the development of others. Here is sample wording on the issue of confidentiality that you might find a useful starting point when reviewing employment policies around mobile working. The same standards of confidentiality and security apply if you are working either at home or away from company premises, as those that would usually apply when working on site/in the office. In particular, care should be taken to make sure that work and company information is kept confidential from anyone who is not a company employee. This includes members of your family if you are working from home, those you might sit near or meet with whilst travelling or attending external meetings and hotel staff who might have access to your room if you are away overnight. You need to ensure that you, solely, have access to your mobile devices and work files. In addition you must ensure that all work and files are kept according to the usual data protection principles. You need to ensure that any Wi-Fi and internet connections you use are secure and that appropriate passwords and ‘keys’ are in use to prevent unauthorised access. IT has issued some sensible guidance about the use of public Wi-Fi zones and this guidance is expected to be read and followed. Breach of security is a very serious issue, and may be treated as gross misconduct which may lead to dismissal. If you have any questions about this HR Blast please do get in touch. We are able to review and draft employment contracts and policies for you, deliver seminars on specific topics for your HR teams, or support with disciplinary and other employment matters. Both of our June workshops are now sold out, to register interest in future dates then please email us your name, location and preferred date/s so we can notify you first when we list them.